Land of cuckoo clocks, fruit elixirs, and its namesake hams and cakes—the Black Forest sounds like a place dreamed up by the Brothers Grimm for their fairy tales. Unlike Snow White, Hansel and Gretel, and Little Red Riding Hood, though, the Black Forest is very real. Grab your crimson cape and a basket of goodies for grandma because we’re headed into the Black Forest with Viking River Cruises. Much of the Viking River Cruise’s bus tour of the Black Forest takes place, well, on board the bus. The Black Forest mountain range covers over 2,300 square miles of land, so we needed faster transport than our two feet if we were to see even a smidge of the forest. Departing from the Rhine in the town of Breisach, our bus spent about an hour and a half winding up a mountain and past fir trees, meadows dotted with cows and bucolic wee towns. During the bus tour, a guide filled us in on the area’s famous products. We got the scoop on the locals’ love for all things schnapps and brandies. Traditionally served with vesper, or a light snack between meals, fruit schnapps can be made from plums, pears or cherries. Be on the lookout for trees dangling bottles from their branches. This is not a unique German form of lawn decoration, rather baby pears grow into the bottles to create a stunning pear schnapps presentation in which an entire pear is housed within the container. We also learned that the region’s famous ham takes over three months to cure to make its signature smoky flavor and, like a sparkling wine from Champagne, only a ham hailing from the Black Forest has a right to the name Black Forest Ham (or Schwarzwalder Schinken, in German). 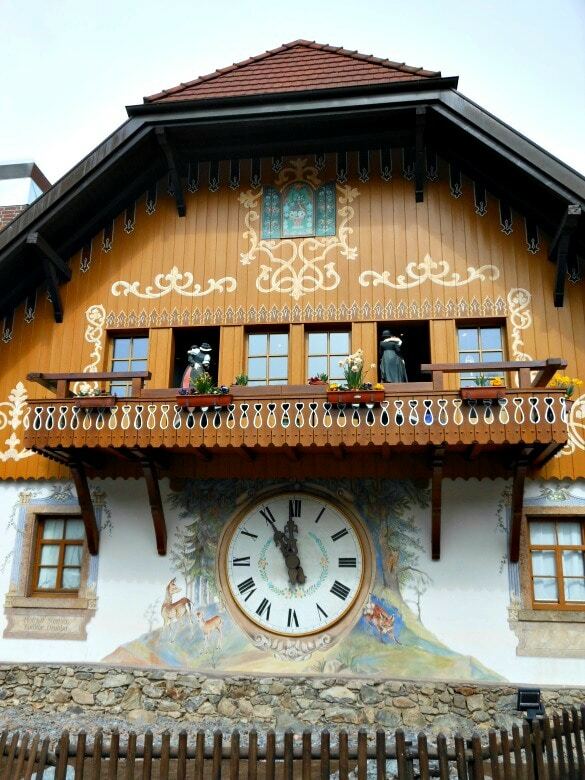 Upon arrival at Hofgut Sternen, a Disney-esque faux German village, you can witness a cuckoo clock making demonstration, watch glass blowing, embark on a guided tour of the forest, and sample the queen of all German fruit brandies, cherry kirsch. After all of that winding and listening in the bus, however, I was anxious to stretch my legs and explore a bit of the Black Forest without commentary. 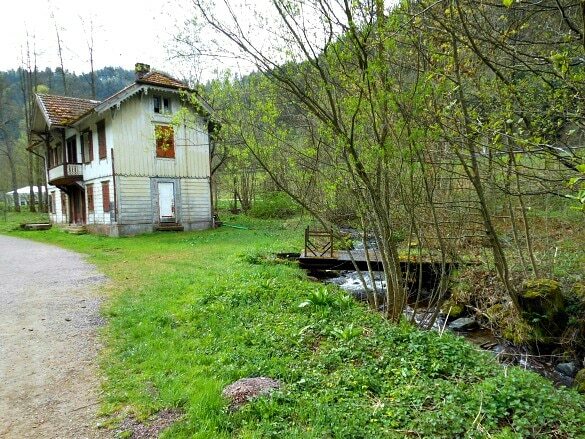 My husband and I set off on a short hike alongside a creek and past a dilapidated former bath house (which is scheduled to be restored to its previous glory). 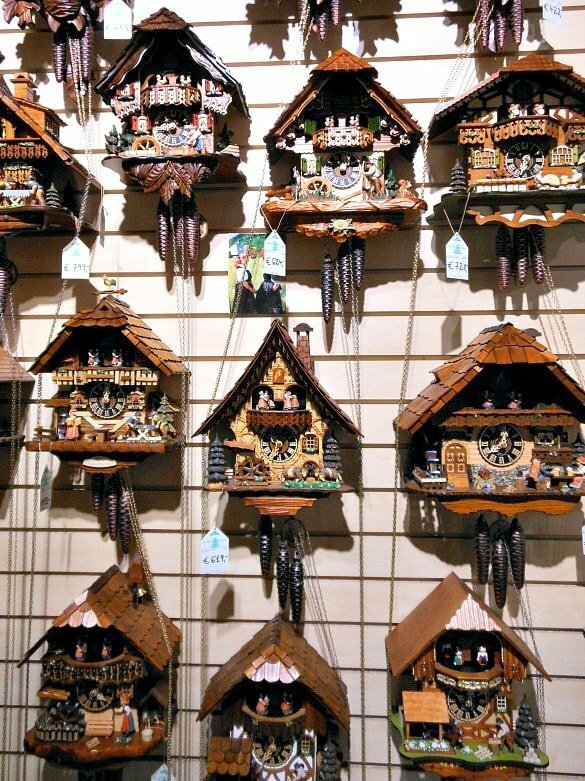 Birthplace of the cuckoo clock, you will find many of these time pieces for sale in the Black Forest. Feeling nostalgic about the thrill my brother and I had when visiting my grandparents’ house as children when each hour, on the hour, we ran into the kitchen to watch the cuckoo bird peek out and cluck the time, I was almost tempted to buy a clock at Hofgut Sternen to bring home…almost. Be sure to step outside the Cuckoo’s Nest shop before the changing of the hour to see the life-sized cuckoo clock welcome the new hour with much mechanical fanfare. Of course, we couldn’t leave the Black Forest without a slice of Black Forest Cake (or Schwarzwalder Kirschtorte). Grab a slice of chocolate sponge cake layered with light whipped cream, tart cherries and locally produced kirsch (cherry schnapps) at the Hofgut Sternen café. Then it was back to the bus for our journey down the mountain. All told, the Viking River Black Forest Tour takes four hours and deposits cruisers back on the ship in time for lunch. The Black Forest excursion is included in the price of the Rhine Getaway cruise. Cruisers can spend the afternoon exploring the tiny village of Breisach, or pay extra for an optional excursion, either to the medieval town of Colmar, or to the Colmar World War II Museum and Memorial, both in France. Many people were brought to tears during the touching war memorial excursion, according to our dinner mates aboard the ship. 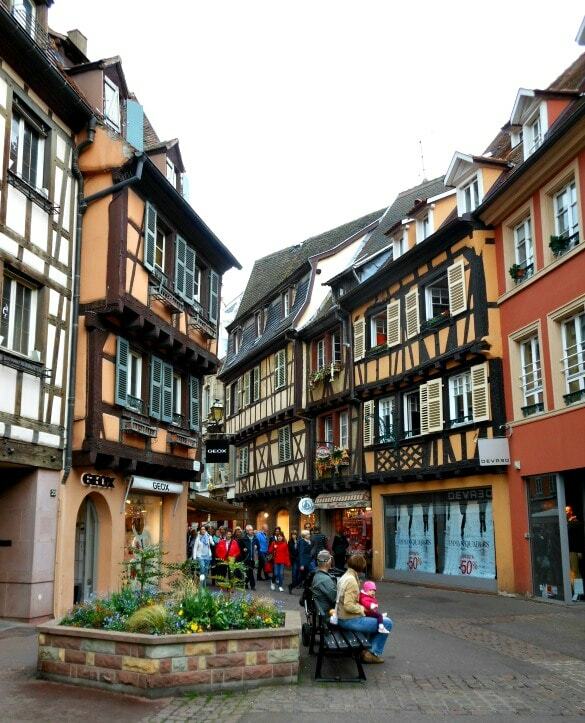 My husband and I, however, opted to explore Colmar. This town is a darling blend of German and French history, architecture and cuisine with lots of shopping and sidewalk cafes. I have to admit I was a bit nervous after the Black Forest with Viking River Cruises tour because I feared the Viking excursions might be too sedentary for us. If you’re an active traveler who likes a blend of informational tours with plenty of free-time to explore on your own, have no fear. The concierge assured me that the Black Forest Excursion was the most transport-heavy tour of the Rhine Getaway, and she was right. For those with limited mobility, on the other hand, take comfort knowing that alternative bus tours were offered in some locations for those who could not manage walking tours. Whichever travel style you prefer, Viking won’t disappoint. 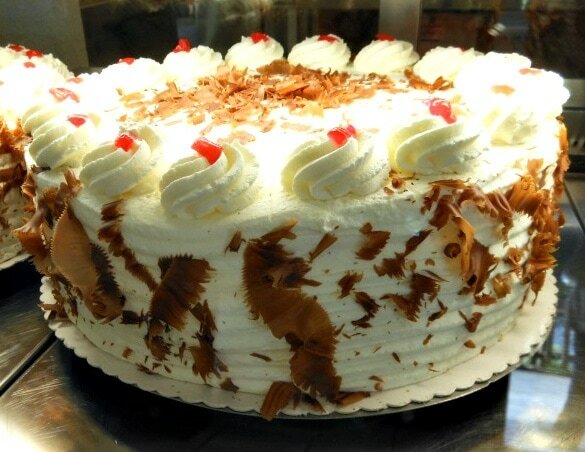 What would you like to do most in Germany’s Black Forest…hike, shop, or try the cake? Let us know in the comments below! A Note from The Travel Mama: Our cruise and optional excursion was hosted by Viking River Cruises. All opinions are mine, as always. Mima – Good idea! The beer in Germany is incredible! I see eye to eye with you. I never been even in Germany. 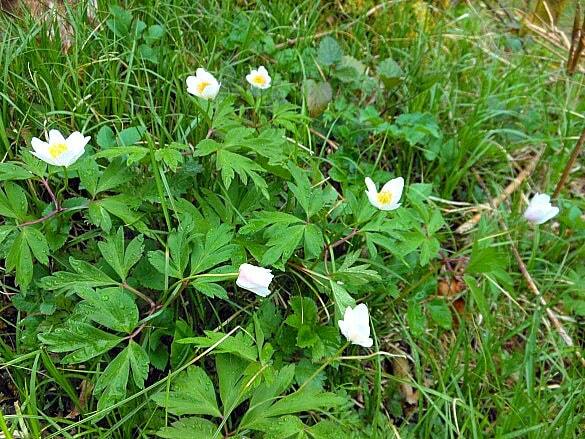 However, it’s time to go to explore Germany and especially for the Black Forrest. My Hidden Paris – Oh, you must! Especially if you live in Paris…Germany is so close! Great write up. I never really considered it as a destination but as I am now Europe based I guess I will have to rethink. Thanks for sharing. Thank you, Amar! 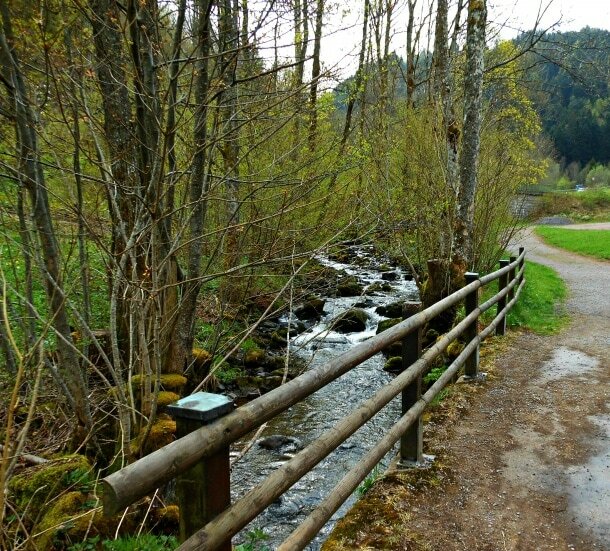 The Black Forest is such a beautiful place – I hope you’ll get a chance to visit it someday! In German I just know popular places like Berlin and Stutgart. Thank you to share your experience, Colleen. 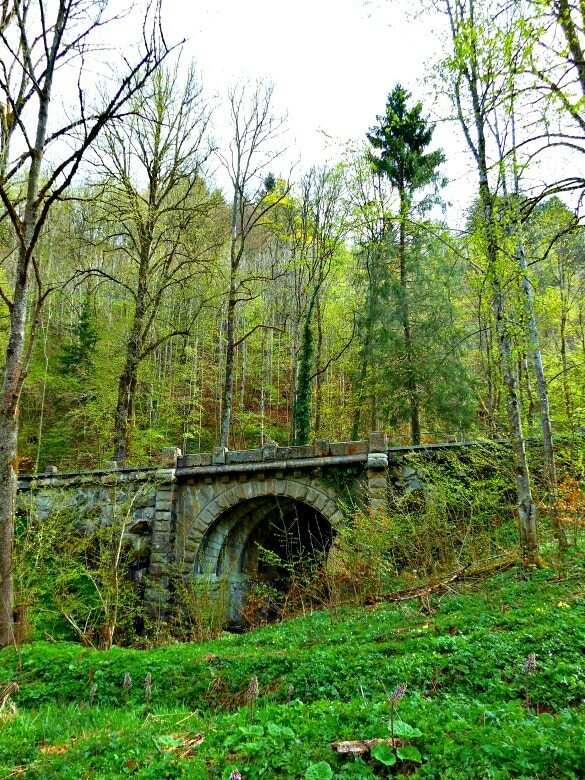 Glad to give you a little peek into the Black Forest, Michael! Thanks for your comment! I’m looking at the Viking Rhine Getaway for our first river cruise. It looks so beautiful and your article got me so exited to go. You mentioned in your article about travel from the ship to the site by coach. Like you, I don’t like tours by coach. I love to walk but my husband has mobility issues. Did you notice what folks with mobility issues did to get around? Is it pretty typical that the tours start out by coach, at least to get you to the site, and then the tours were on foot? Is there some cases the tour starts out on foot immediately when getting off the ship? My hope is that my husband could take the coach to the excursion site and just hang out, take pictures, take in a view, or sit in a pub, while I did the actual tour. For instance, if he could enjoy the castle from below but not take the actual tour into the castle, it might work for both of us. Your input would be greatly appreciated! There were a couple of people on our Viking cruise with mobility issues. At most ports, it seemed easy for them to get on to the coach directly from the ship. There were one or two ports that were more of a challenge, though. I definitely would not recommend doing the walking tour of Heidelberg Castle to anyone with limited mobility due to uneven cobblestone pathways and lots of stairs. Your husband could sit in the coach and wait for you while you do the castle tour, though. For most locations, you can choose to opt out of the walking tour and just take the bus into town and find a nice cafe. Enjoy your Viking River Cruise! Colleen, Good synopsis , thank you. We did this tour in July 2017 and felt much the same way. The drive was beautiful but long. We had one quick stop near the top for some valley photos. But it felt a waste of times, considering Hofgut Sternen was such a disappointment. The setting is beautiful and the shops and demonstrations were cute, but in no way does it resembled a true Black Forrest artisans village of clock makers and glass blowers, as it was billed. As you say, the stop felt like some setting contrived by Disney to get you to spend more money. For our afternoon excursion we did the Alsace wine tour with a tasting stop at the Domain Hering vineyard. Much wore authentic and appreciated by all 4 of us. Ooh…the Alsace wine tour sounds lovely. I think we had signed up for that one but wound up not going because we were too tired. Wish I’d gone now!